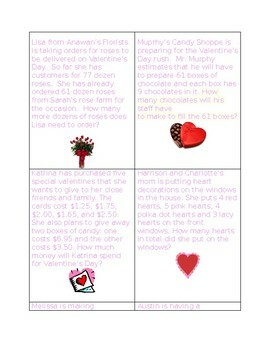 Word problems that relate to Valentine's Day. Includes multiplication, division, and subtraction problems. Great for a math center!